Last week we looked at positive body image and how to tackle low self-esteem. This week, we turn our attention to the younger generation. Often, the most talked about aspect of body image and confidence is how adult women are affected. But, a recent survey conducted by Girlguiding suggests that this is perhaps not the most pressing body image issue. The survey, which questioned over 1,500 young people, revealed that 36% of girls between the ages of seven and 10 say they are made to feel that the way they look is the most important thing about them. Not only this, but 47% of girls aged between 11 and 21 said that the way they look “holds them back”. These results reveal a worrying trend in body image amongst girls in the UK; looks and image are perceived to have a higher value in society, than other qualities such as personality or intelligence. Girls are feeling under more pressure than ever to care about the way they look. But what can parents do to help combat this? We explore some ways to promote body confidence and self-esteem, to help a young person in your life. There needs to be an open and honest flow of communication between you and your child, with the focus being on support. 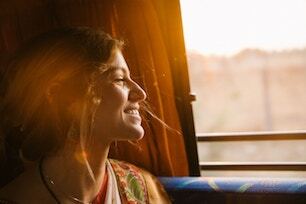 Often, if someone tells you they are worried about the way they look, or they wish they had bigger feet or thinner legs, the general knee-jerk reaction is to tell them to “stop being silly”. But, we need to remember that body image issues aren’t silly, particularly to young girls. Take their concerns seriously; instead of dismissing them, remind them of the things that they love about themselves. Explain that everyone has hang ups about their body – but we love everyone because we are all different. Talk to your child’s school. Is positive body image something they cover as part of citizenship education or as an area of personal development? Have they noticed anything in your child’s behaviour to suggest that there may be a confidence issue? 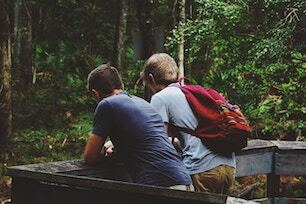 Talking about body image raises its profile as an important subject, and can encourage positive feelings towards it – before confidence issues can become a problem. It’s key to tune into your thoughts and feelings about your own body, and when you may be modelling negative body image. Be careful not to use negative language such as ‘fat’ or ‘diet’, but try to train yourself to talk positively about your body, and other people’s too. Although this can be difficult if you struggle with your own body image, try to remain strong and positive. Children, and especially girls, are impressionable – they can be easily swayed by people that they love and trust. Teach them to be comfortable and confident with their developing bodies, and positive body image will follow. 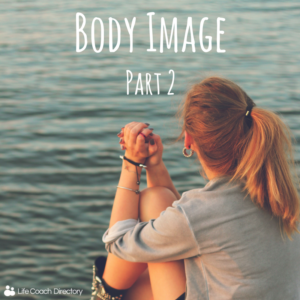 Read last week’s blog for tips on how to tackle your own body image.